Those of you who rely, or will rely, on Social Security and Medicare should watch this video. 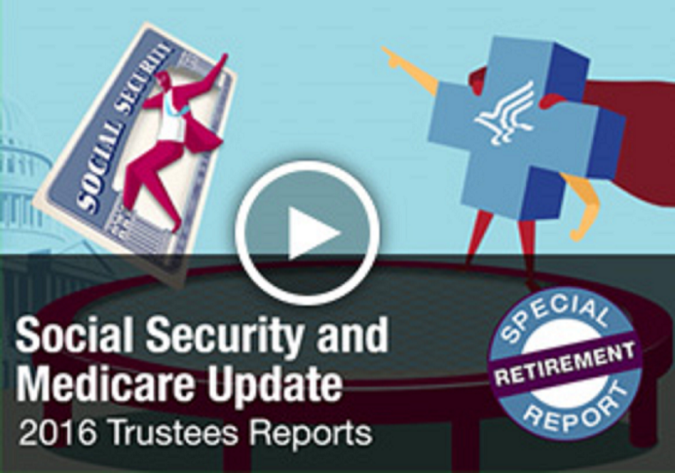 Social Security and Medicare Update-2016 provides detail on where these programs are financially. Trying to figure out the details of Social Security? Trying to decide when to begin collecting your benefits? This post may help: Social Security Claiming: Retirement, Spousal and Survivor Benefits. Both An Economic and a Personal Decision.